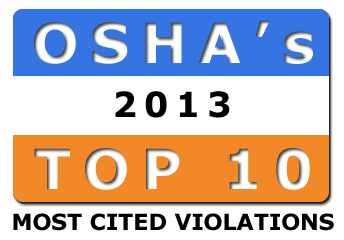 The Occupational Safety and Health Administration (OSHA) recently announced their top 10 list for the most frequently cited workplace-safety violations for FY 2013. The number one most cited violation was fall protection. There has been a significant increase in the total number of violations from FY 2012 to FY 2013.